The end of the school year is often packed with student performances. Plays and musical performances are a great way to conclude the year, giving parents the chance to see their kids’ hard work in action. However, the performing arts are so much more than adorable costumes and heartwarming songs. They are also incredibly valuable pedagogical opportunities for students, teaching many of the skills and values of the International Baccalaureate (IB) Learner Profile* that we strive to instill in all our students. 1. Self-Expression & Creativity Drama and music allow students to explore their artistic, expressive side, and sometimes to even discover a passion for performing. At ISTP, we often incorporate student creativity into the productions themselves, allowing students to write and perform their own original songs or write their own plays. 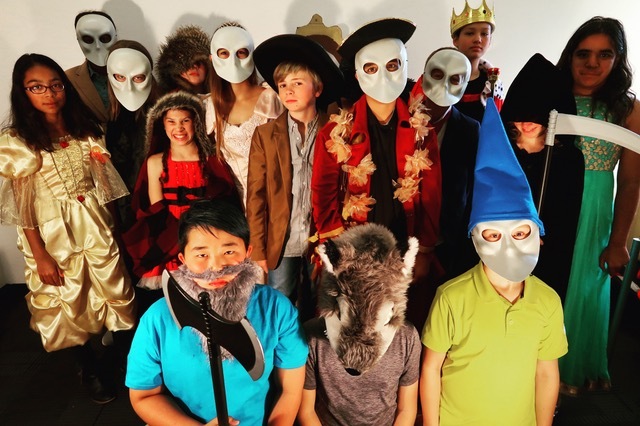 For example, our 5th graders in the French program recently staged an innovative live voice-over and sound effects performance to accompany scenes from Disney movies. They wrote original French dialogue and devised their own methods to generate sound effects (such as using objects, their voices, or their bodies). It was inspiring to see where their creativity took them! 3. Deep Cultural Knowledge Drama and music are an extraordinary method of cultural transfer. At ISTP, our students learn to sing the same songs and perform the same plays that their peers in China or France do. 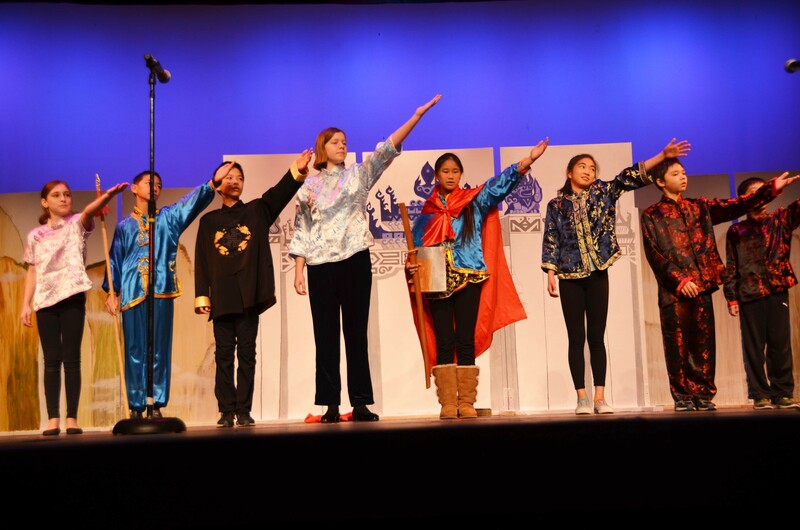 In the older grades, students perform some of the classics of French and Chinese drama. Last year, the 7th graders memorized and performed The Ballad of Mulan in the original 5th century Chinese, a work that would be familiar to most Chinese or Taiwanese citizens. When a student from ISTP and a student from Shanghai share knowledge of the same poem or song, that is a unique opportunity for profound cultural connection and shared experience. 4. Responsibility & Collaboration In drama and music, students often have to work together to put on a single collaborative show. If one student forgets his or her line, this affects all members of the production, helping students to realize how their own actions can affect others. 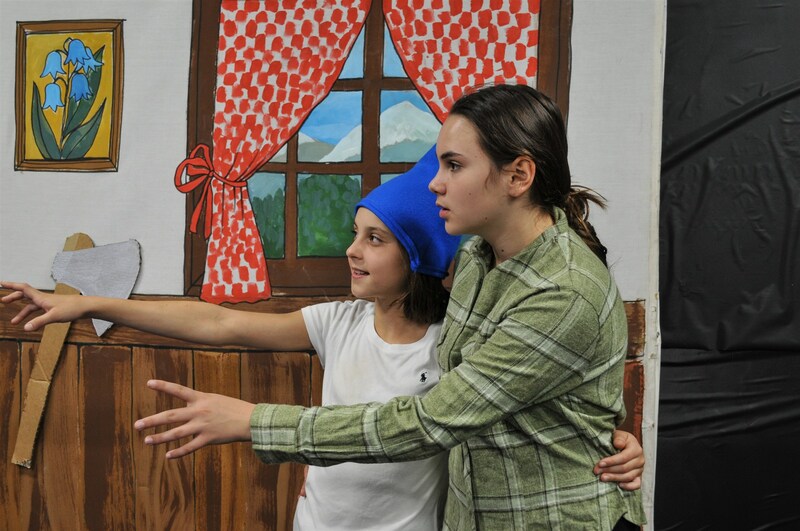 Our 6th grade French students recently presented an immersive avant-garde theater experience, Ne Dormez Plus, based on the themes and characters found in classic fairy tales. Students collaboratively wrote the different parts for the characters, and designed and created the costumes and sets. They truly had to rely on each other and pull together to stage what turned out to be a very impressive production! 5. Lifelong Passion We hear again and again from alumni that they first discovered their voice, or their musical ability, or their love of drama at ISTP. In fact, we have alumni who have gone on to pursue careers as professional musicians and actors. For most students, however, discovering an activity they are passionate about is the beginning of an interest or hobby that can bring a lifetime of enjoyment.